Dessert drinks – Sweet Creations involve whipped cream, marshmallows and other indulgent ingredients like Nutella and chocolate curls. The Alcoholic Chocolates combine your favourite liqueurs like Baileys, Cointreau or just straight whisky. Whatever your chocolate weakness is, truffles, ice cream, brownies or beverages you will find them all here and year round. There are now several locations in the Greater Montreal area. Drool. I have to go check that place out. 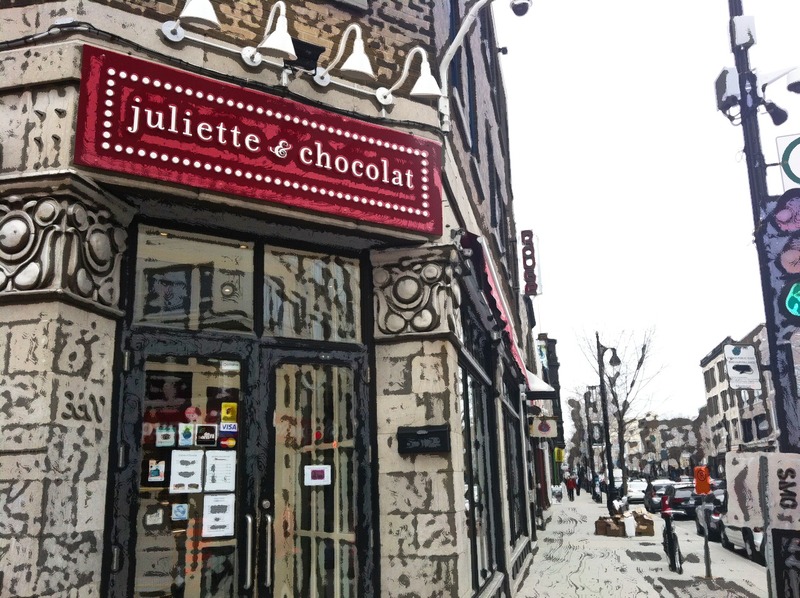 I love Juliette et Chocolat! I try to make it out to there every time I’m in Montreal. I plan to do the same from now on. Do you try different items? Have you had the sipping chocolate? I had it last time at the Berri-UQAM location. I can’t remember which one though. I always get their crepes. Either the caramel flambée or the chocolate one. Mmmm.